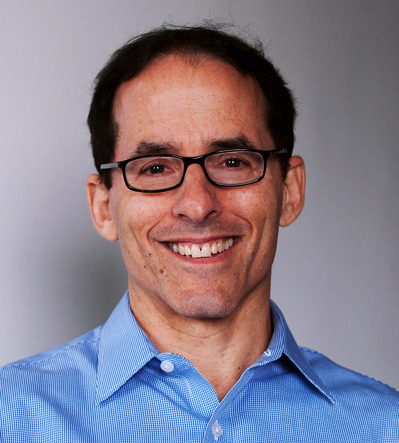 Mark Weisbrot is co-director of the Center for Economic and Policy Research, in Washington, D.C. He received his Ph.D. in economics from the University of Michigan. He has written numerous research papers on economic policy, especially on Latin America and international economic policy. He is also co-author, with Dean Baker, of Social Security: The Phony Crisis (University of Chicago Press, 2000). This entry was posted in Economic Inequality, Economy, Elections, Honduras, Sub-Prime Loans, The Economy, The Fed, The Market, Wall Street. Felipe Andres Coronel better known by the stage name Immortal Technique, is an American rapper of Afro-Peruvian descent as well as an urban activist. He was born in Lima, Peru and raised in Harlem, New York. Most of his lyrics focus on controversial issues in global politics. The views expressed in his lyrics are largely commentary on issues such as class struggle, poverty, religion, government and institutional racism. 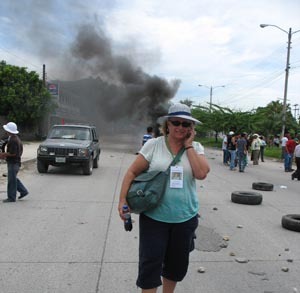 UCSC history professor Dana Frank reporting on protests in Honduras on the anniversary of the June 28, 2009 militrary coup. Quote: “New Wikileaks cables reveal that the U.S. embassy in Honduras — and therefore the State Department — has known since 2004 that Miguel Facussé, the richest man in Honduras, who is allegedly responsible for the deaths of campesino activists in the Aguan Valley, is a cocaine importer. U.S. `drug war’ funds and training are being used to support a known drug trafficker’s war against campesinos. “The U.S. is funding and training Honduran military and police that are conducting joint operations with the security guards of a known drug trafficker to violently repress a campesino movement on behalf of Miguel Facussé’s dubious claims to vast swathes of the Aguán Valley, in order to support his African palm biofuels empire. This entry was posted in Drug War, Economic Inequality, Empire, Honduras, Immortal Technique, Music. KPFT is fund raising for this and the next two shows. Please support the show by calling 713-526-5738 and making a tax-deductible donation. Friend of the show and best-selling author Greg Palast is coming to Houston as part of his book tour and will be speaking to KPFT listeners to raise money for the station. Greg Palast is best known as the investigative reported who uncovered how Katherine Harris purged thousands of African-Americans from Florida voters rolls in the 2000 Presidential Election.Author of the New York Times and international bestsellers, The Best Democracy Money Can Buy and Armed Madhouse, Palast is Patron of the Trinity College Philosophical Society, an honor previously held by Jonathan Swift and Oscar Wilde. “Vulture’s Picnic: In Pursuit of Petroleum Pigs, Power Pirates and High-Finance Predators”. $150 pledge level, includes a book, refreshments, a chance to chat with the author, reserved seating at the main event. “A cross between Sam Spade and Sherlock Holmes” (Jim Hightower, The Nation), Greg Palast turned his skills to journalism after two decades as a top investigator of corporate fraud and racketeering. Palast’s reports appear on BBC’s Newsnight and in Britain’s Guardian, Rolling Stone and Harper’s. Palast directed the US’ government’s largest racketeering case in history (that garnered a $4.3 billion jury award) and the investigation of the Exxon Valdez. Palast is recipient of the George Orwell Courage in Journalism Prize for his BBC television documentary, Bush Family Fortunes. This entry was posted in Afghanistan, Africa, Arab World, BP, Bush, Cheney, Chevron, CIA, Climate Change, Debt, Democrat Corruption, Dictatorship, Economic Inequality, Empire, GOP Corruption, Honduras, Iraq, Oil, Oil Spill, Rove, Vulture Funds. Pakistan and Honduras are not countries that are often meaningfully discussed in the news. Pakistan got a lot of ‘coverage’ when we were told of the assassination of Bin Laden (regular listeners will note that many issues were raised on the show about the contradictions in the official version of the story) and Honduras got some mention when there was a coup there but very little of substance was said about what led tot he coup and who was behind it. Tonight we try to correct the lack of real analysis with this week’s guests: Sobia Ali and Dana Frank. Sobia Ali is a software engineer who lives and works in NYC. She grew up in Abbotabad, Pakistan. Voices of Pakistan: Why do Pakistanis Have Such Mixed Opinions About America? Dana Frank is a professor of History at the University of California, Santa Cruz, and the author of Bananeras: Women Transforming the Banana Unions of Latin America. She is currently writing a book about the AFL-CIO’s Cold War intervention in the Honduran labor movement. This entry was posted in Afghanistan, Honduras, Pakistan.